One of my favorite parts of Guitars for Glory is the partnerships with some of the coolest people around the world. Towards the end of 2017, we were blessed with the opportunity to partner with a leather company based in Alabama. Growley Leather has been a true blessing to our ministry, as Brian and Kelli are two of the most genuine and caring people, shown in each of their products. Their hearts align with the vision of Guitars for Glory, and I am extremely thankful for a chance to pair with them. For every 10 straps sold, we are able to place one guitar with someone in need. This is the second guitar sent through our Leather Guitar Strap Program. Thank you so much to our supports with the serial numbers A011-A020. This second guitar due to our strap program is now in Haiti. As many of you know, Guitars for Glory LOVES Haiti. We have be able to send a number of guitars over the years to the beautiful country of Haiti to empower worship leaders and make new worshippers. This guitar is even more special to us because it was sent through a local Rochester, NY organization, called Elevating Christian Ministries. 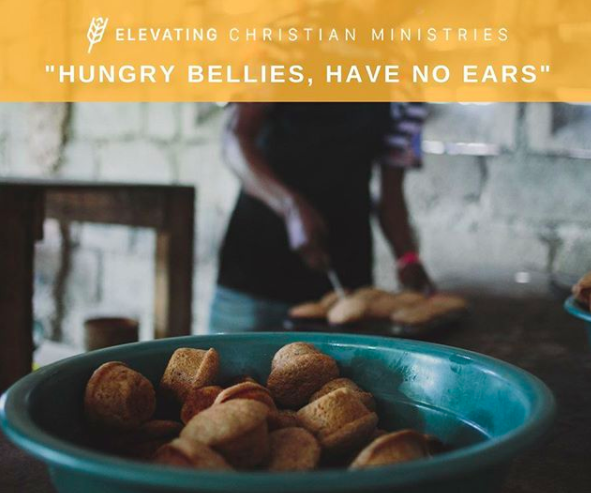 Elevating Christian Ministries was created after a missions trip in 2015, with the desire to have “charity and sustainability to work hand in hand.” James and Sarah Cammilleri were in Haiti to build a school, when they realized an even greater purpose. Through this first trip, the couple learned some children in Haiti were only fed in school, and not every school was able to provide food everyday for the kids. James went back to his roots and remembered the wheat bread his mother would make growing up. He remembered the nutritional value found in wheat bread. I love how perfectly orchestrating our God is. James grew up in a home where wheat bread was made nearly everyday, probably without the knowledge that someday he and his wife would be using that same recipe to save children in Haiti. What I appreciate and love about the mission and vision of Elevating Christian Ministries is their focus on sustainability. James and Sarah easily could have used their American resources to feed the local Haitian children and leave. But instead, their goal was to make this idea of bread sustainable. To “break the cycle of poverty with income generating-projects.” They built ovens in Haiti. They imported wheat to Haiti. They taught people how to make a product that would fill bellies of their precious children and provide proper nutrients for them to grow.